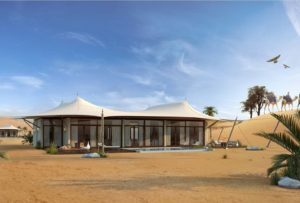 Sharjah Investment and Development Authority (Shurooq) has grabbed the headlines once again at the Arabian Travel Market (ATM 2017), with the announcement of its “Mleiha Desert Resort”, first five-star desert resort at the heart of Mleiha, and news that it has signed a Memorandum of Understanding with “Al Wanis”, Qatari tourism company established in Sharjah, to develop the AED 60 million (US$ 16.4m) project. 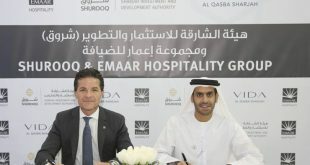 As part of its unceasing efforts to mark Sharjah as one of the region’s premier tourism destinations and attract maximum overseas investment, Shurooq will be the local partner with “Al Wanis”. 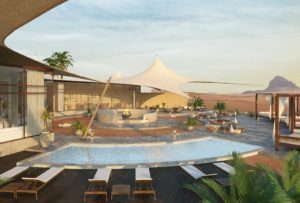 Mleiha Desert Resort will offer a range full hotel services, restaurants, cafés, a health club, swimming pool and many other hospitality facilities associated with a world-class resort. 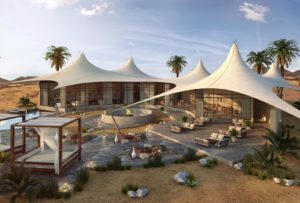 The new luxury hospitality project encompasses a total area space of 300,000 sqm, of which the “Mleiha Desert Resort” and all its unique facilities, features and unique hospitality services and experiences will encompass a total area space of 60,000 sqm. 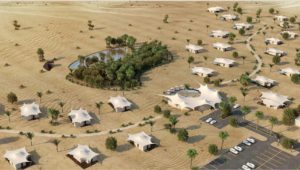 The resort will include 45 exclusively designed vacation villas, modelled on classical desert marquees, each with the luxury of its own decking and private swimming pool. 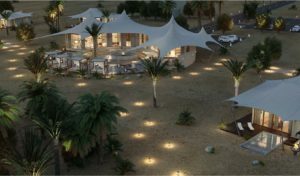 The “Royal Suite”, which is one four living options at the resort, encompasses a space of 167 sqm, and includes two uniquely designed rooms and a private swimming pool. Additional options include the “King Suite”, expected to encompass a total space of 155 sqm, “Junior Suite”, encompassing a total space of 90 sqm and the “Standard Suite” which offers a unique living on a total space of 85 sqm. While being entirely detached, with privacy guaranteed, there is still a sense of community, enhanced by a central communal area, fashioned in the same canopy style, where guests can meet and distinguished enjoy hotel services together, as well as a memorable “Sahara”-themed living experience. Replicating an authentic canvas covering, the awning feature provides the perfect shade to enjoy the tranquility and serenity of the resort, blending in seamlessly with the environment of sublime nature and Arabic heritage. The new resort, situated at the heart of the Mleiha Archaeological and Eco-Tourism Project on a natural landscape between the area’s bespoke dunes and the famous Fossil Rock, is scheduled for completion towards the end of 2019. 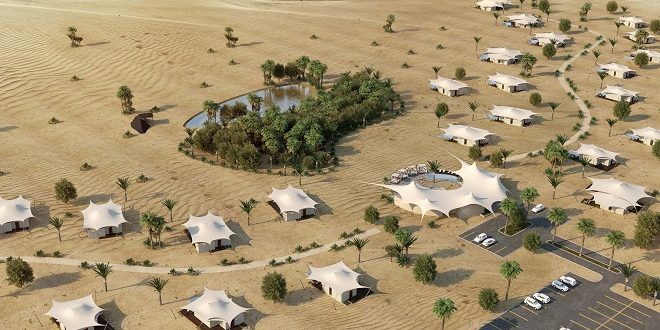 Unveiling details of the luxurious Mleiha Desert Resort at an ATM press conference, HE Marwan Bin Jassim Al Sarkal, CEO, Shurooq, described the move as a major boost to Sharjah’s ambitious eco-tourism projects, which are set to appeal to a global audience. 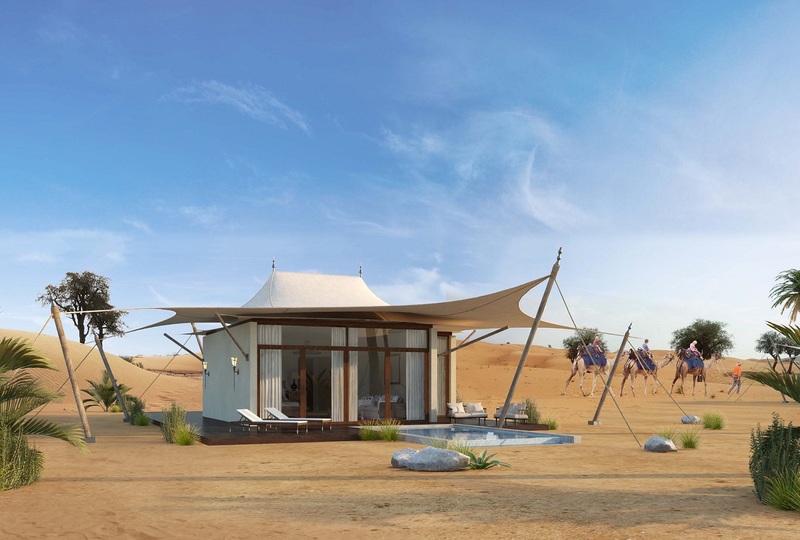 The number of hotel guests in Sharjah is growing at an annual rate of 13%, while hotel revenues are up by 12.3%. Revenues are expected to reach $187 million (AED 687 million) by the end of this year, and by the end of 2019, that figure is predicted to reach $226 million (AED 830 million). 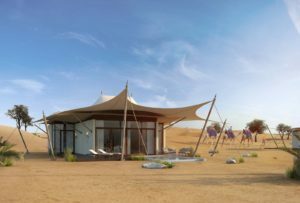 Four and five-star hotels accounted of 70% of revenues last year, which suggests the majority of investments will focus on those two categories. 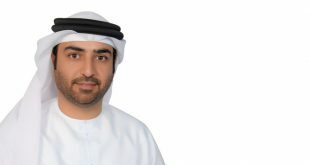 Abdulaziz Al Amadi, Board Member of “Al Wanis” tourism company, who co-signed the MoU with Al Sarkal, said: “Sharjah is an extremely attractive business proposition for Arab investors and Qatar is an established partner in many existing ventures. 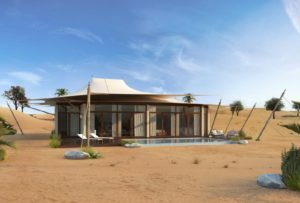 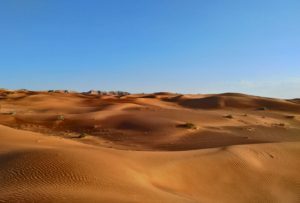 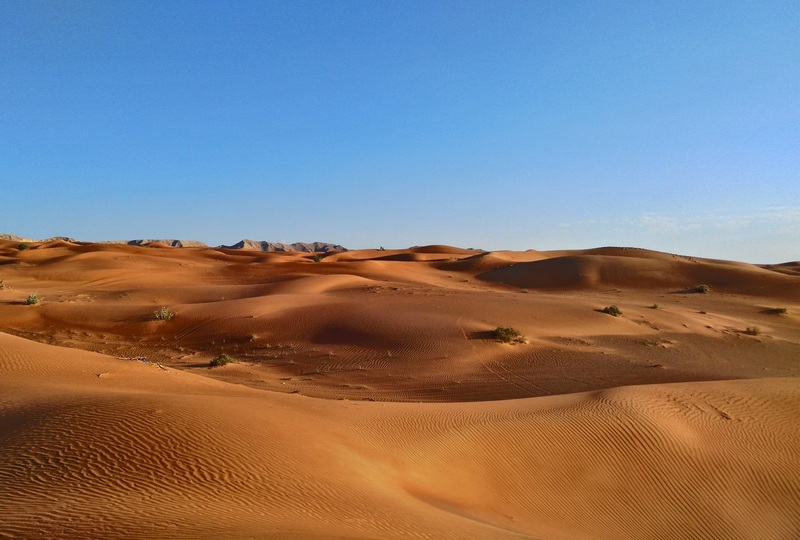 The Mleiha Desert Resort at the Mleiha Archaeological and Eco-tourism project is a unique opportunity that combines the luxury of a world-class destination with the history and heritage that is so important to all countries around the region, particularly those in the GCC. The signing ceremony took place at a press conference on the second day of ATM 2017, which runs until April 27 at Dubai World Trade Centre. 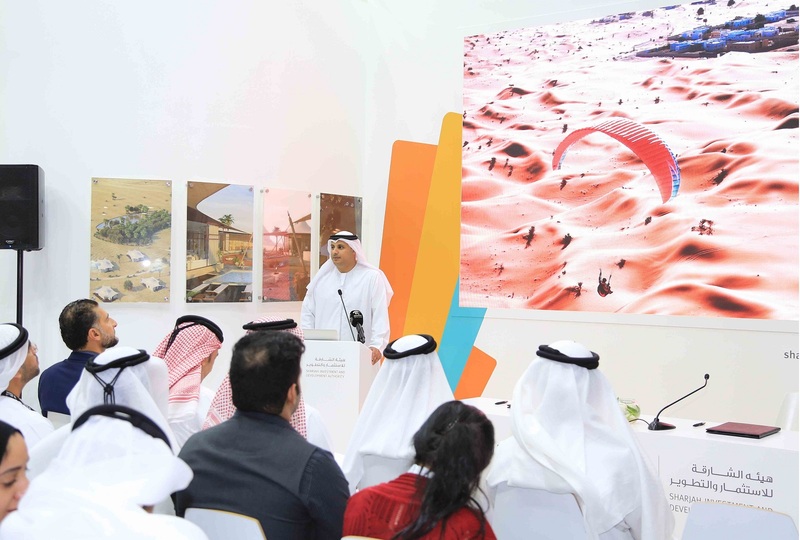 The Arabian Travel Market attracts thousands of visitors and tourism stakeholders, professionals and experts from different countries to debate developments in the global tourism industry and discuss the possibility of forging strategic partnerships with their counterparts. 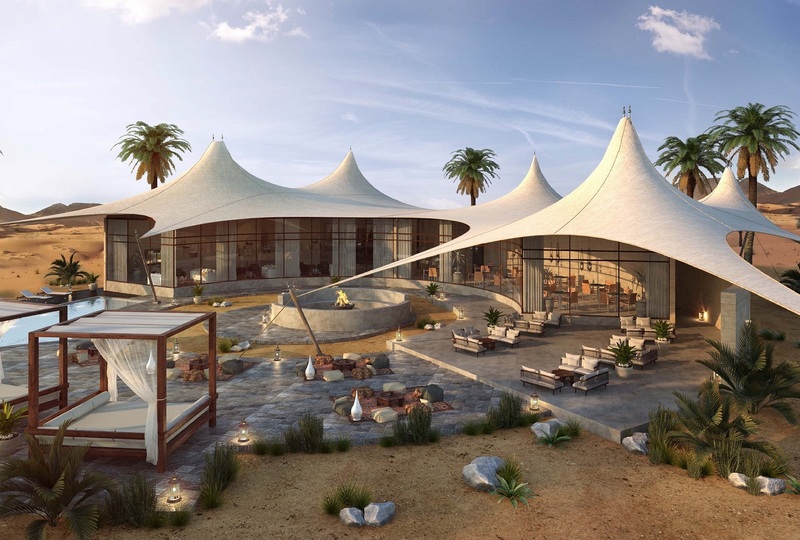 The B2B event is an ideal platform for worldwide industry leaders to promote leisure, business, medical, family and shopping tourism in their countries. 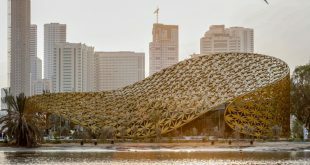 ATM 2017 is expected to receive an overwhelming increase from the 28,000 visitors who attended from 86 countries last year, along with 2,800 exhibitors. Shurooq was established in 2009 with the aim of achieving social, cultural, environmental and economic development on the basis of Sharjah’s distinct Arab and Islamic identity. 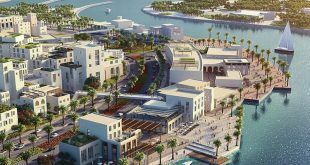 It is focused on encouraging investment by adopting the best international standards in providing quality services that help attract investors from across the region and around the world. 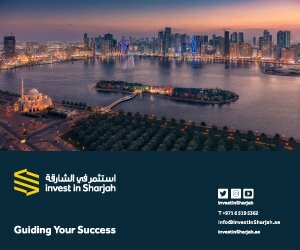 Shurooq’s key mission is to provide facilities and incentives to help overcome obstacles facing investment activities in the emirate, evaluate investment-related infrastructure projects, and lay down the necessary plans to complete such projects.